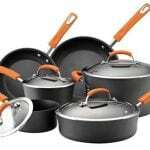 The Cooks Standard Multi-Ply Clad Stainless-Steel 10-Piece Cookware Set contains the most essential pots, pans and lids that you need to develop your kitchen activity properly. 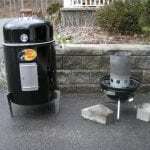 It is considered a starters kit for those of you who have only had cooking experiences with cheap products made of anything else but stainless steel. Talking about cheap, this set offers more for less. Endowed with multiple innovative technologies, the Cooks Standard Multi-Ply Clad Stainless-Steel set can help you prepare the most delicious kinds of food. Conversely, it can meet the simplest and most basic needs of a cook, without the headaches given by sticky surfaces, slow cooking and cleaning efforts. The Multi-Ply Clad Metal Construction is a patented technology by Cooks Standard which refers to the incredible dispersion of heat from the bottom of the cookware to the sides. You can just preheat any of these pieces and then keep the heat low. The temperature simply maintains and the food gets ready faster. The Air-Flow Technology is also patented by Cooks Standard. It keeps the handles from these gorgeous pots and pans cool. Even after a long exposure to heat, the V-shaped handles do not overheat and they are very stable and sturdy. Cooks Standard is a company founded in America. Their main headquarters are located in California. Based on high-quality manufacturing processes, this company has managed to assert itself on the market of cookware and kitchen utensils. The design of every piece made by Cooks Standard is always given by a combination between usefulness and beautiful. This company understands the need of having spotless and great-looking cookware. 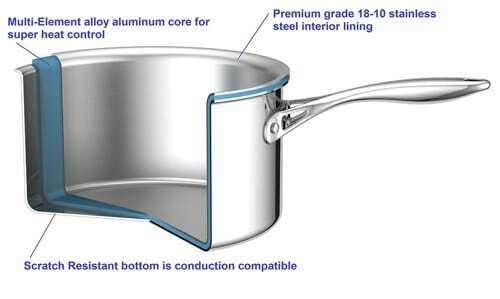 The Multi-Ply Clad Metal Construction and the Air-Flow Technology are the latest discoveries made by Cooks Standard. Now, thousands of chefs can enjoy their benefits. Multi-Ply Clad Metal Construction – Enables you to cook faster and save a lot of energy. The combination between aluminum and stainless steel preserves the heat and sends it to the sides of the recipient as well. 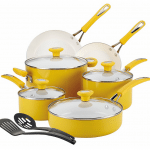 Durable materials – This cookware set is made to last. The bond between the metals used for the manufacture is practically indestructible. Handles do not overheat – The Air-Flow Technology used for producing the handles for this cookware keeps the handles cool by redirecting the heat back to the bottom of the pot or pan. 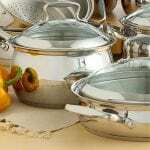 Perfectly matching lids – The lids are made of stainless steel too. 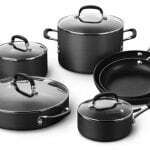 Although there is no visibility in the pot or pan while using them, they fit very well, thus contributing to a more delicious and full of nutrients food. The instructions are written in bad English – The instructions from the package were reported as hard to understand because of the bad English used for writing them. The food keeps sticking to the cookware – This inconvenience can be avoided by preheating the pieces before use. 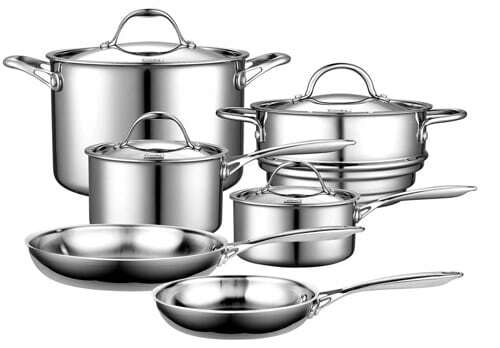 The Cooks Standard Multi-Ply Clad Stainless-Steel 10-Piece Cookware Set is a jewel for your kitchen. The pieces shine like jewels and you will be treated like one after cooking anything in them. 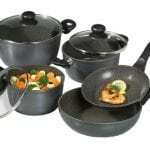 This set is made to improve your cooking experiences and to help you prepare delicious meals.